IRS - What Can They Do? | Close My Business? | Take My Home? Home » Tax Resolution » IRS Threats: What Can They Really Do to Me? IRS Threats: What Can They Really Do to Me? I hear from my clients at times that an IRS Revenue Officer (tax collector) told them they could lose their house, they could be sued, their retirement and 401k will be taken, wages can be garnished, and a whole bunch of other awful scenarios. These types of threats keep people up at night and are very real. Keep in mind while reading that the below scenarios and information apply only to collection matters, NOT with criminal matters. Criminal matters are a different ball game. Almost every threat that the IRS makes can be carried out. Whether they actually do what they threaten to do depends on your reaction time, cooperation, and level of compliance (adherence to the tax laws). There is a good reason people hire lawyers to handle their worst conflicts. They can speak and shout if necessary on your behalf without the rational blindness that afflicts those directly involved. A lawyer will replace you in the conflict but at the same time rise above the squabble and see both sides of the situation clearly and make the right move for you. I have seen numerous occasions where the IRS issues a serious threat and makes it sound like they are ready to carry the threat out immediately, but, in reality, must complete a lengthy procedural process before carrying out such a threat. A lawyer experienced in tax resolution can very often decode whether a threatened consequence is truly imminent. You need that when you are being threatened by a Revenue Officer and you don’t know what resources they have behind them and how soon before they can actually carry out their threats. I won’t forget one client telling me he was so upset about the two Revenue Officers coming to his business demanding payment and threatening to close him down that he physically grabbed the two men by the backs of their collars and dragged them out of his shop. They never came back. I handled his case from that time forward and we got it resolved peacefully. WHAT IF THE IRS ISSUES A SUMMONS? WILL I BE SUED OR ARRESTED? Another client of mine called me in a sort of panic. A Revenue Officer came to his house that day to deliver a summons for two years of his income information. The Revenue Officer threatened him with a lawsuit if he did not comply with the summons. My client was imagining court and judges and severe consequences if he did not show up. An IRS summons is not easy to understand at first glance. In this case, my client had not filed two years of his tax returns and the Revenue Officer was demanding through a summons the income information related to those two years. An IRS summons is not signed by a local judge and does not have the full weight of the law behind it. You will not be hit with a major lawsuit if you do not show up or provide the information requested in an IRS summons. HOWEVER, if you do not comply with an IRS summons, the IRS can complain to your district court and ask a judge to issue an order for you to appear in court. They do this by filing suit, and as petitioner of the lawsuit, the IRS will ask a judge to order you to appear in court with the records they want. THEN if you ignore the local judge’s order you will be subject to the consequences of your local judge for not providing what the IRS wants. That could mean a warrant for your arrest for contempt of court. So, if a Revenue Officer ever threatens to have you arrested for not filing your tax returns, he is also failing to explain to you everything that you must fail to do and that he must legally do in order to carry out that threat. By the way, if you receive a summons from a Revenue Officer, you have already ignored at least one or two written requests for the summoned information. From a practical standpoint, I can think of little to gain by ignoring an IRS summons. 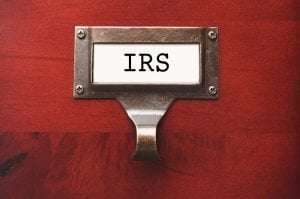 The chances are very high that the IRS can force the information out of you anyways, so ignoring one would have little or no upside while almost certainly having the downside of further aggravating the IRS. CAN THE IRS CLOSE MY BUSINESS? What if a Revenue Officer (IRS or State Collections) threatens to close your business down? Is this a real threat? YES IT IS. I have had the sad experience of getting the somber call from a client during which his restaurant was being closed down by a couple Revenue Officers accompanied by a Sheriff’s Deputy. The Revenue Officers will come in, ask you to empty your cash register (if you transact with cash), take any funds, and then will have the Sheriff close the doors. In some cases, if the collector wants to safeguard or come back later for goods on the property, the Sheriff can padlock the doors. A notice will be posted that the location is closed due to unpaid taxes and you cannot remove that notice. Think of the IRS or State closing your store as your business being arrested. Before forced closure happens, the store owner will be given ample warning. On the other side, the Revenue Officer has to go through a lengthy and time-consuming legal process to obtain a court order from a local judge authorizing the Sheriff to close the location. The IRS and State Revenue Officers or collectors are not authorized by themselves to arrest you or close your business (though they can repeatedly levy your bank accounts and accounts receivables, which can effectively force you out of business). But, if they are able to show a local judge that you are not cooperating in repaying your taxes, they can get the law on their side to close your business, and if they involve a local judge with an order to provide returns or documents and you ignore those orders, then it is in the court’s hands to arrest you. CAN THEY FILE A TAX LIEN? What about threats to file a lien? This is a threat that both IRS and State collectors can and do carry out regularly and with ease. CAN THEY TAKE RETIREMENT ACCOUNTS, SOCIAL SECURITY, DISABILITY, UNEMPLOYMENT OR WORKERS’ COMP? Can the IRS take your retirement accounts? YES. What about your Social Security? In almost all cases they can take some or most of it. Disability? No. Unemployment? No. Worker’s Comp? No. There are other exceptions to what can be levied, and those can depend on your circumstances and source of income. Can the IRS take your home? YES, but again, they have to get a local judge to approve foreclosure proceedings, and it is usually a last resort after they do not receive your cooperation to pay back the debt. WHAT IF I IGNORE THEIR THREATS? It can be very tempting to ignore threats from the IRS or State collectors. No matter how nice the tax collectors might sound, when they are threatening to take away your house, close your business, have you arrested, or simply levy your bank account, that’s not nice and you should not ignore it. Picture a person resisting arrest. Did that person come out of that situation better off or worse off? Now picture yourself resisting the IRS and State collectors. It’s not going to end well. Have you let collections get so far that your bank accounts have been levied? Consider yourself tazed. If you are resisting collections, stop it. Get help. Do the right thing and get your tax liability resolved so that you are no longer at risk of these threats being carried out. It’s not worth it. Moreover, there is help available, and you may be surprised to learn how favorably your liability could be resolved. HOW DO I STOP THEM FROM CARRYING OUT THESE THREATS? There are plenty of strategies to keep your payments manageable, and even lower the overall balance due before it ever comes to serious threats or levy or seizure. Even if you are in the midst of levy action or threats to close your business are coming at you, a competent tax resolution attorney can step in and work out a resolution. With very few exceptions, such an attorney can almost always prevent all of these threats from being carried out provided that you involve her before the axe is already in motion and you follow her instructions. The one major exception is the filing of a tax lien, particularly with regard to larger tax liabilities that aren’t resolved quickly after the underlying tax is assessed. If you incur a large tax liability and don’t pay it off quickly, consult with a good pro as there might be options to prevent a lien. However, in all likelihood you will need to accept a tax lien as a fact of life and shift your focus to preventing the far more serious consequences discussed above.